Mike currently serves as the Club Director for the LA Breakers. Mike previously served as the Westside Breakers full-time Technical Director from 2001-2018. Over the past 30 years, he has served as a head coach of teams with the Westside Breakers, Galaxy Alliance and Santa Monica United youth soccer clubs. In 2018, Mike coached the Westside Breakers Girls 2002 Elite team that won the Cal South National Cup Championship, the first ever for any Westside youth soccer club. 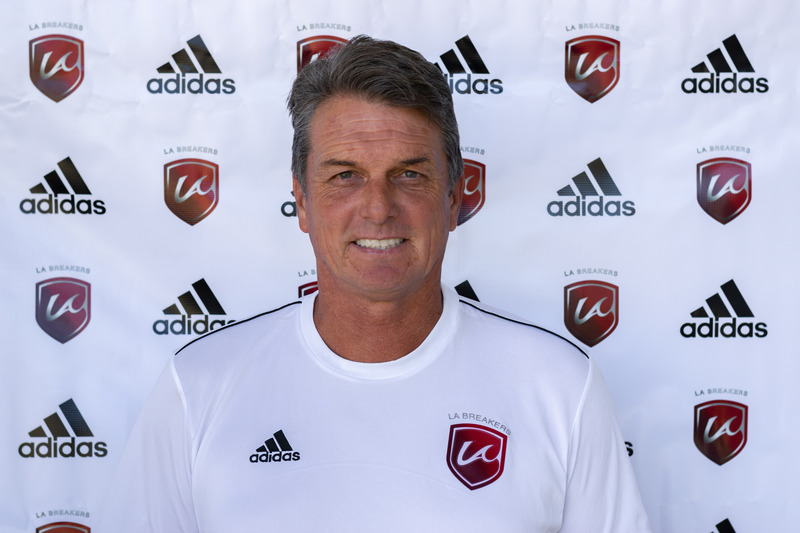 In addition to coaching youth soccer teams, Mike also served as the Head Men’s Soccer Coach for Los Angeles Mission Junior College from 1989 - 1990 leading the team to the playoffs in 1989. Mike has also worked as an Olympic Development Program staff coach in 1996. In 2005 and 2006, Mike served as the head girls soccer coach at St. Matthews Parish School where his team won the Delphic League Middle School Championship in 2006. Mike received his US Soccer Federation "A" coaching license in 1999. In addition to coaching and managing youth soccer clubs, Mike has also worked extensively in the business side of soccer. He most recently served as the Competition Manager of the Los Angeles Venue for the 2016 Copa America Centenario games played at the Rose Bowl. From 1995-1997, Mike held the position of Director of Player Administration for Major League Soccer (MLS) where he was integrally involved in putting together the initial player pool for the league’s inaugural season in 1996. The league office moved to New York City in December of 1997 and he stayed on as a league consultant until 1999. From 1999 – 2001, Mike served as the Director of Fan Development for the Los Angeles Galaxy of MLS. Mike also worked for the 1994 World Cup Organizing Committee from 1992-1995 and served as a consultant for the 1999 Women’s World Cup, both of which were held in the United States. As a player, Mike grew up on the Westside and played high school varsity soccer for Santa Monica High School where he graduated from in 1980. He went on to play collegiately at Cal State Los Angeles earning all-conference honors his senior year. In 1986, Mike signed his first professional contract with a new Los Angeles area professional soccer team called the Hollywood Kickers that played in the Western Soccer League (WSL). He played for the Kickers for 4 seasons and then retired from professional soccer when the WSL folded. Mike played semi-pro soccer in the Los Angeles area for many years playing primarily with the San Pedro Croat winning three California State Men’s Open Cup Championships. Mike currently resides in Pacific Palisades with his wife, Natasha, and their son, Jackson.